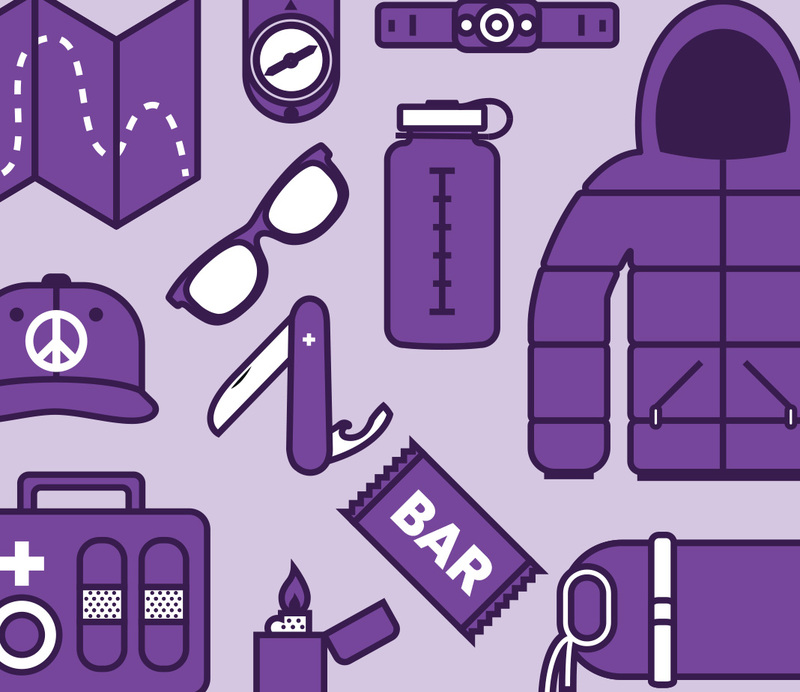 I created these outdoor gear related vector illustrations to be multifunctional like the gear they depict. Their simple forms are versatile; they work big and small, making them useful as user interface elements, instructional diagrams, and more. The hiking gear represents the ten wilderness essentials: navigation, illumination, sun protection, hydration, tools, insulation, first aid, fire, nutrition, and shelter. 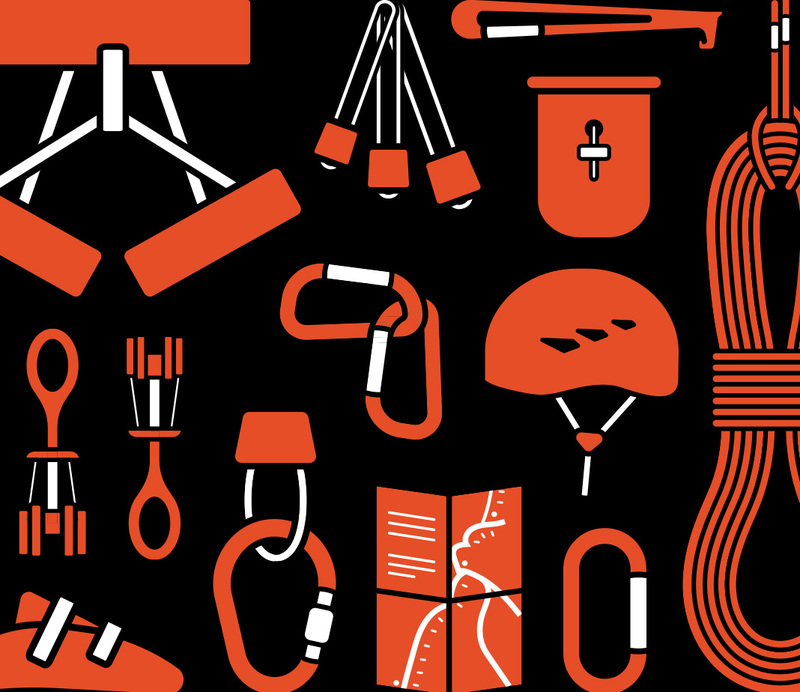 The climbing gear represents the basic essentials for traditional rock climbing: harness, passive protection, active protection, nut tool, chalk bag, climbing rope, helmet, carabiners, shoes, and route information.